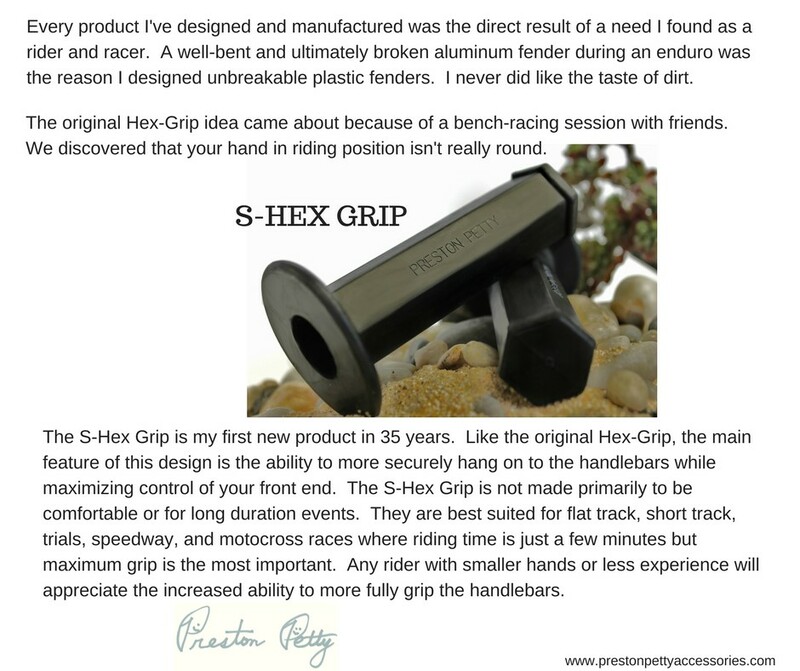 HODAKAPARTS.COM has been chosen by an all new company called Preston Petty Accessories, of Dallas, Texas to help them sell their new line of new S-Hex Grips, first of many new things to come from Preston and his crew. See the new page on this web site for the info and pictures of this new grip, available now, just call 1–208–571–2823 Bruce. RETAIL–$19.95 pair + shipping. Order today, give this new generation product a try, tell your friends !!!! !